We know that undertaking a design project and learning how to build kitchen cabinets can be both exciting and intimidating. Luckily, we’ll build you the beautiful, long lasting high end kitchen cabinets you’ve always wanted; you just need to measure and plan appropriately. 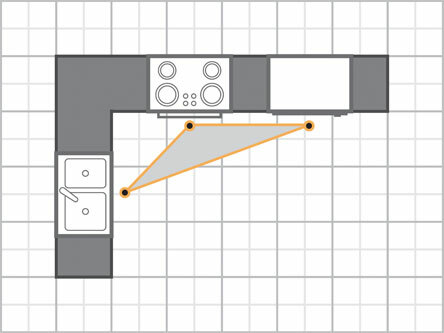 Whether you are remodeling an existing space or starting from scratch, let us show you what to do and where to start. Use this Step-by-Step Planning Page to start designing your perfect space. When you are finished, bring your plan to one of our Kitchen Design Professionals and you will soon be on your way to having the space you have always dreamed of, with the best kitchen cabinets you’ll find anywhere, along with our wonderful, everyday low prices. 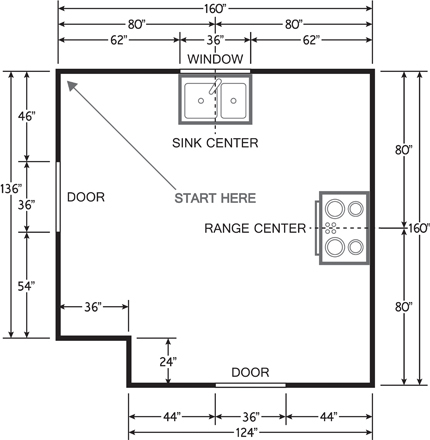 Our Measuring Guide will help you to begin scoping your project. It will also help us to provide you with a preliminary estimate. 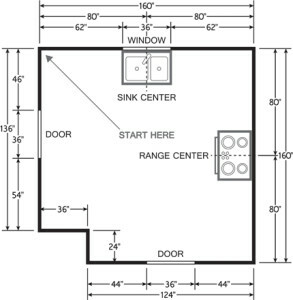 Choice Cabinet will always professionally measure your space before finalizing your design and ordering your cabinetry, so remember the Measuring Guide is for estimate purposes only. 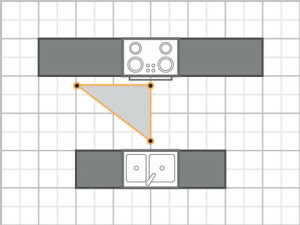 In the next step, you will be selecting a kitchen layout. 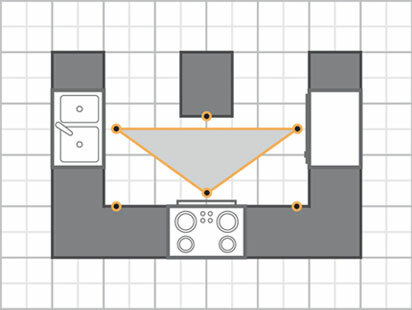 Carefully review the five different layouts to identify which layout is most similar to your current kitchen. 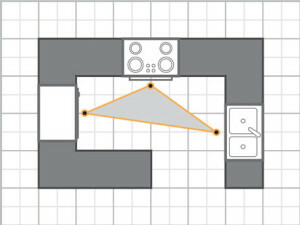 Make sure to focus on the Work Triangle while looking at each layout as you may find a floor plan that you prefer over your own. A U-shaped kitchen surrounds you on all three sides, with storage, countertops, and appliances. This kitchen is a very popular layout because of the compact work triangle it creates. It often contains generous counter space and helps provide an efficient work flow. A successful kitchen is a true reflection of your lifestyle. Filling out our Kitchen Questionnaire will help your Design Professional to create the kitchen of your dreams and make sure that no detail goes overlooked.